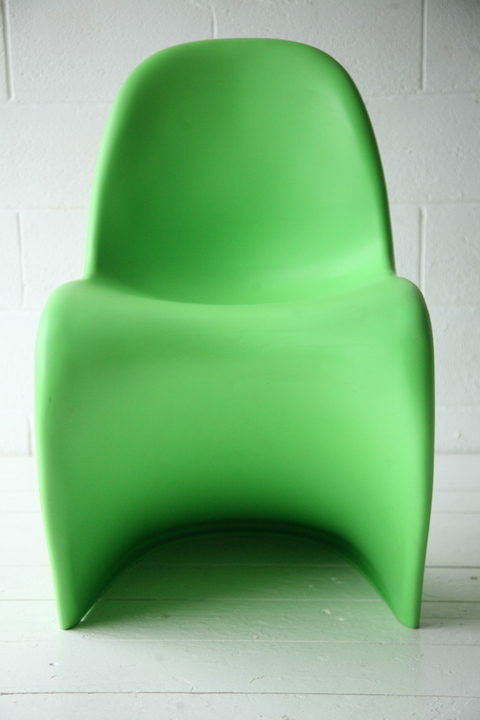 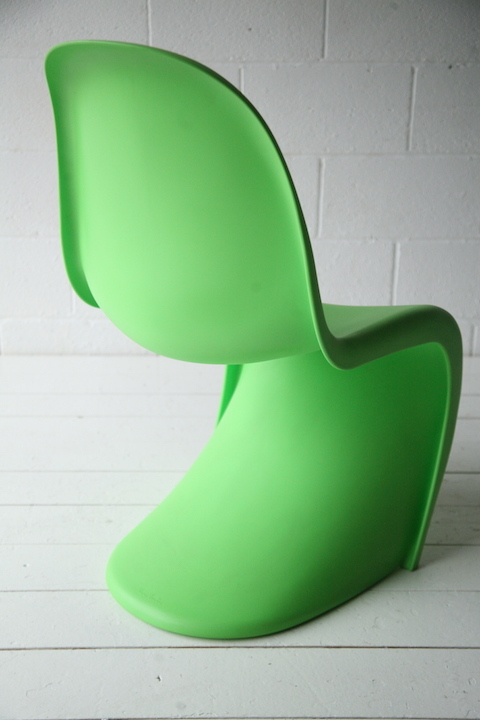 A green plastic chair designed by Verner Panton, Denmark. In green plastic. 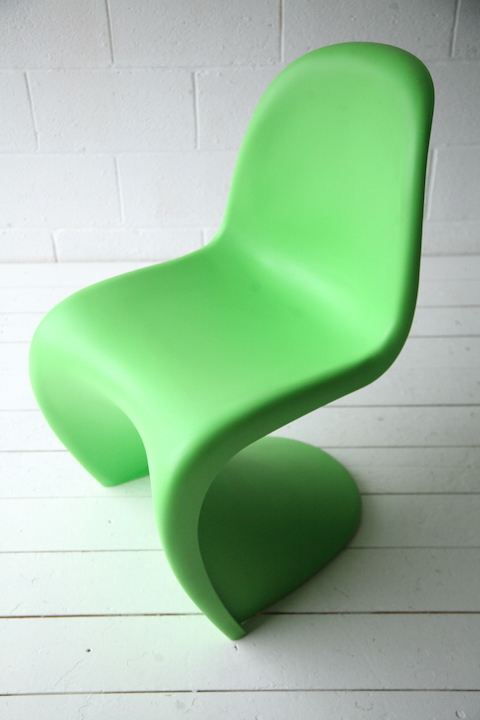 This chair was produced by Vitra in 2003. 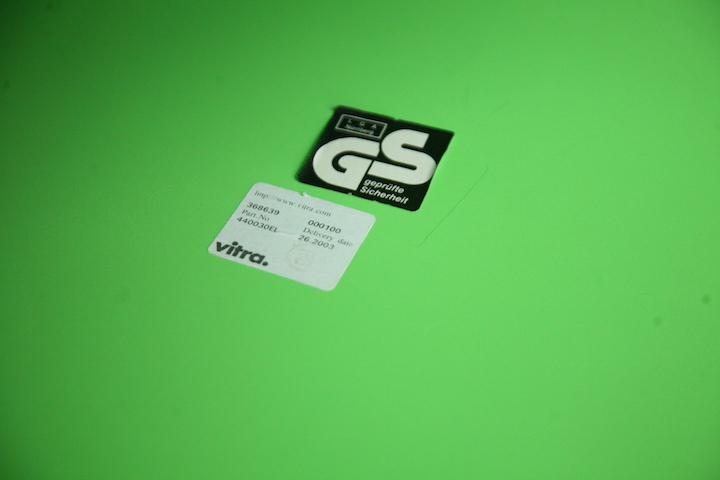 In good condition with some light marks.